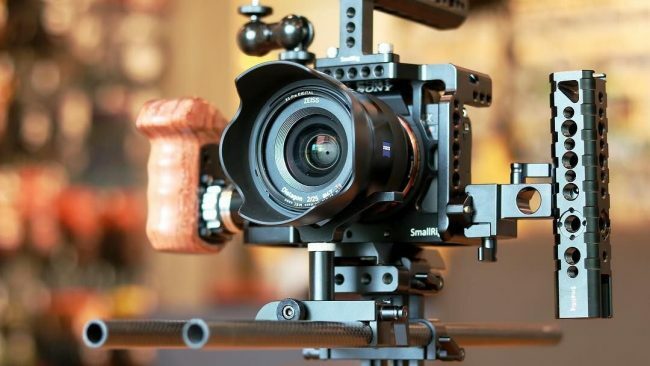 Here at Elephants and Ants we recently added the Sony A7III to our arsenal of video equipment, to be used as a B camera. We own most of our inventory to keep video production costs lower for clients. Below is some Sony A7III test footage. Sony has been stirring up the camera market with its A-series mirrorless cameras, luring many pros away from Canon and Nikon DSLRs into the brave new world of mirrorless imaging. For an asking price a whisker under £2,000/$2,000, the A7 III is probably Sony’s most compelling DSLR alternative – and not just for professionals, but keen enthusiasts too. Just like its predecessors, the A7 II and the A7, the A7 III has a 24MP sensor. Resolution is probably the first thing camera buyers look for, and it’s perhaps this camera’s most unremarkable specification. It’s not the same sensor as before, however; this one has a back-illuminated design for improved light-gathering, and is teamed up with a front-end LSI and BIONZ X processor that produce much faster data readout and processing speeds than before. The end result is much-improved noise and high ISO performance, high-quality 4K video and that impressive 10fps continuous shooting speed – double the speed of the previous A7 II. Equipment used in this early morning shoot was the RoninS stabiliser, Tamon 28-75 lens bolted to the Sony A7III. The footage was colour corrected and graded in Davinci Resolve and put together in Adobe Premiere Pro CC. We create creative videos for start-ups, corporate and small businesses.